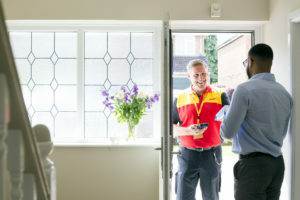 UK Mail is to begin rebranding to become DHL Parcel UK to fully align with DHL values and corporate responsibility commitments and adopt the DHL brand after its acquisition in December 2016. 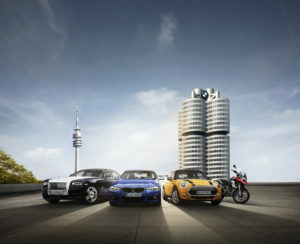 BMW has extended its contract with DHL Freight for its overland transport in 17 countries. The new deal also operations in seven additional areas. 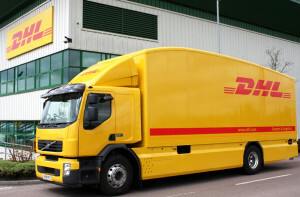 DHL Supply Chain has made a number of changes to its UK board of directors, which it says are part of a strategy to adapt to the rapidly changing commercial environment. 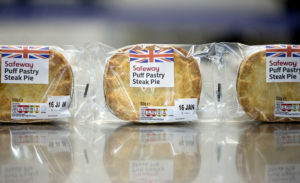 Supermarket group Morrisons has awarded a six-year contract to DHL Supply Chain to manage its wholesale logistics operations. 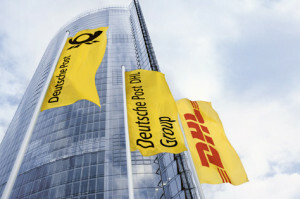 DHL is to open a US innovation centre at Rosemont in Illinois to complement the existing sites at Troisdorf in Germany, and Singapore. 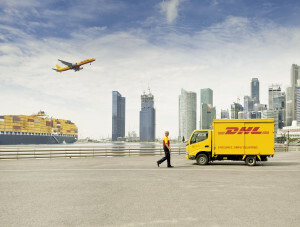 DHL has launched a connected digital TMS network which oversees customers’ whole transport operation and allows them to use DHL’s network regionally or nationally depending on their needs. 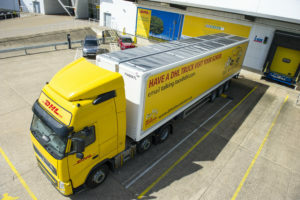 DHL has developed thin film solar mats TRAiLAR, which are fitted to vehicle roofs and connected the vehicle’s battery or additional on-board batteries. The solar energy generated reduced overall fuel consumption by helping to power different on-board activities such as tail lifts. DHL Supply Chain has acquired Columbian logistics provider Suppla Group, which provides warehousing and packaging services across life sciences and healthcare, retail, consumer, and technology sectors. 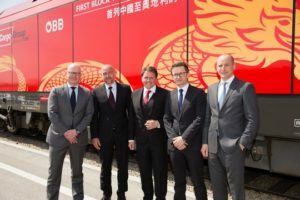 DHL and Rail Cargo Group have signed a memorandum of understanding (MOU) with the Austrian Federal Railways to establish a new Silk Road route across six countries connecting China and Austria by land. 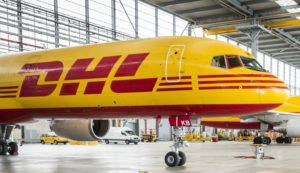 DHL Global Forwarding is deploying a second dedicated Boeing 747-400 freighter to connect the US, Europe and Asia.